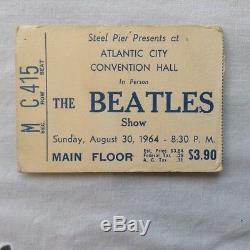 Original stub from The Beatles concert in 1964 at the Atlantic City Convention Hall. Has been kept In scrap book and is in very good condition for its age. There are no tape marks. 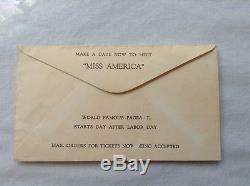 Back of envelope advertises the Miss America Pageant. 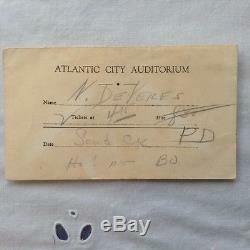 The item "Beatles concert ticket stub from Atlantic City Convention Hall 1964" is in sale since Friday, February 12, 2016. This item is in the category "Entertainment Memorabilia\Music Memorabilia\Rock & Pop\Artists B\Beatles\Concert Memorabilia". 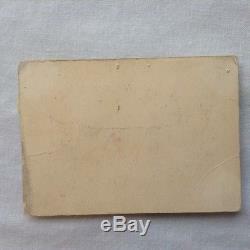 The seller is "nancdevri" and is located in Lewisville, North Carolina. This item can be shipped to United States.